I have made some progress with the map editor, and going to leave it for a time. The next step is going to create the base of the biosphere: grass. 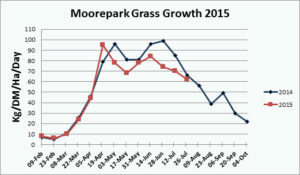 grass growth rate with last two years displayed in graphical form. 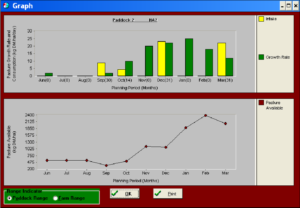 From this two numbers, we see that the grass growth is at it’s highest during January and February, at 25 to 100 kg per 100sqm and day, or 2,5 to 10 gram per square meter and day. I’ll settle with this numbers for now and start programing so the engine can increase the grass size per day, depending on the time of year. I’ll need to first convert the kg to cm… or you know what, I should just enlist in some farmer forum and ask the farmers straight.